American Leather was founded in 1990 on one revolutionary idea: custom leather furniture could be made and shipped in three weeks or less. Founder/CEO Bob Duncan applied "just-in-time" manufacturing he admired from the Japanese car industry to the furniture industry. From a small four person shop, the company has grown into a thriving leader in the furniture industry, with over 130 different collections. Scan Decor offers the full range of American Leather products. 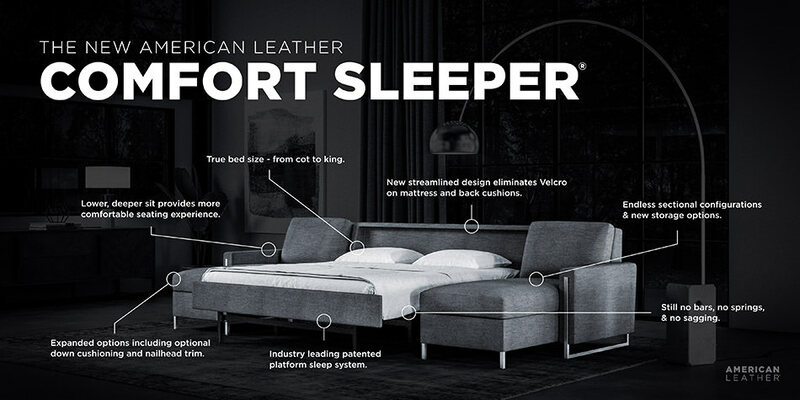 We have a large variety of the American Leather Comfort Sleepers, and the American Walnut Collection products on display at our Burlington showroom! *American Leather products are only available at our Burlington location.